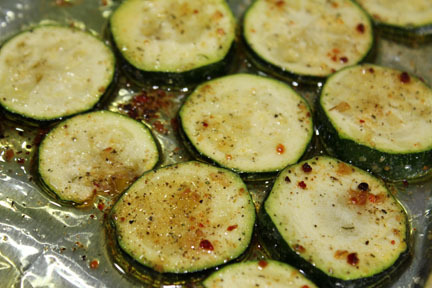 Captain Cavedweller will only eat zucchini if it has been dipped in batter and deep fried. 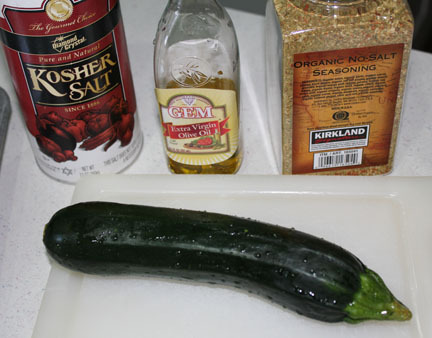 Until I roasted a zucchini the other day. 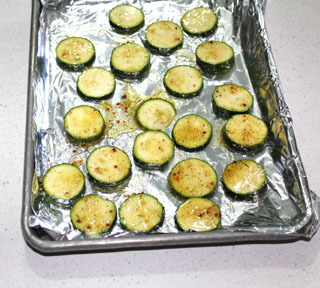 Don’t ask me what is magical about the fast roasting process, but it makes the zucchini taste so good. And talk about fast and easy. 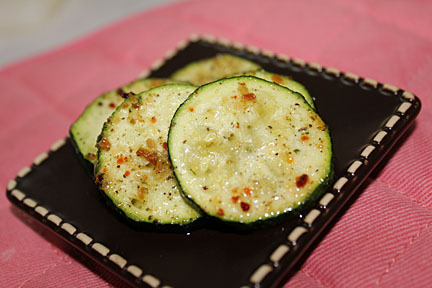 In less than 10 minutes you can make this side dish and have it ready to eat. 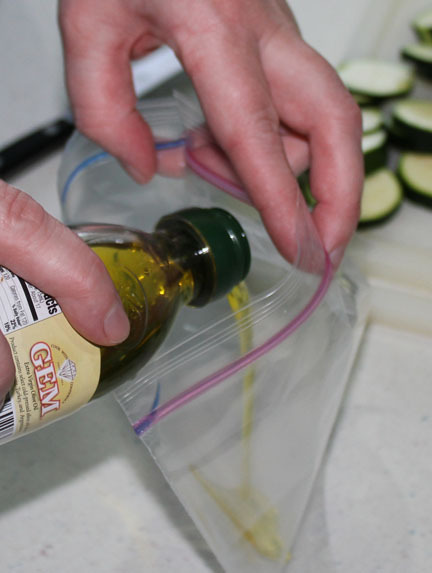 Pour a tablespoon or so of EVOO into a ziploc bag. Add a dash of salt and some seasoning to the oil. 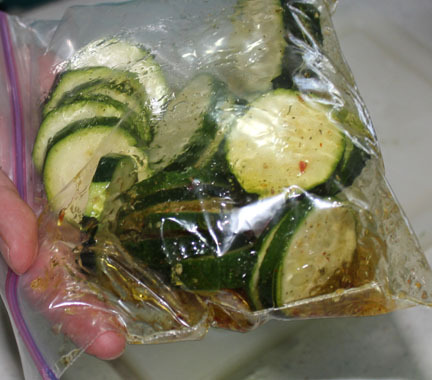 Put zucchini into the bag and shake it a few times to coat. All nicely coated and ready to dump onto baking sheet. 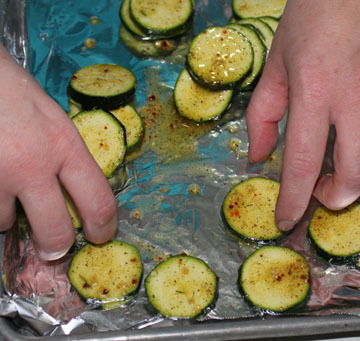 Spead out the zucchini on the baking sheet. Bake in 400 degree oven for about five minutes. Baked, tender and ready to be devoured. 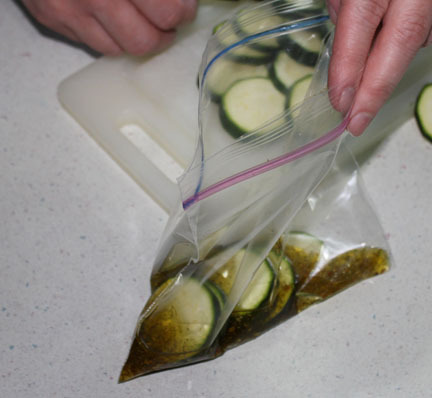 Pour a tablespoon or two of oil into a ziploc bag. Sprinkle in a dash of salt and some seasoning. 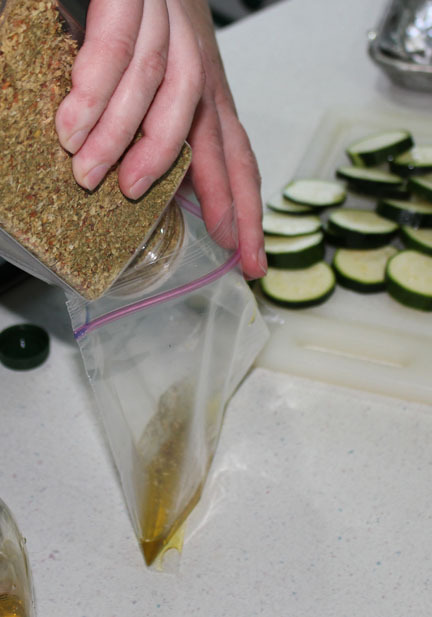 Put in zucchini slices, seal and shake bag to coat slices. Place slices on a baking sheet and bake at 400 degrees for about five minutes. Serve and enjoy! You can use this method with a variety of vegetables including carrots and beets (which will need a longer baking time).